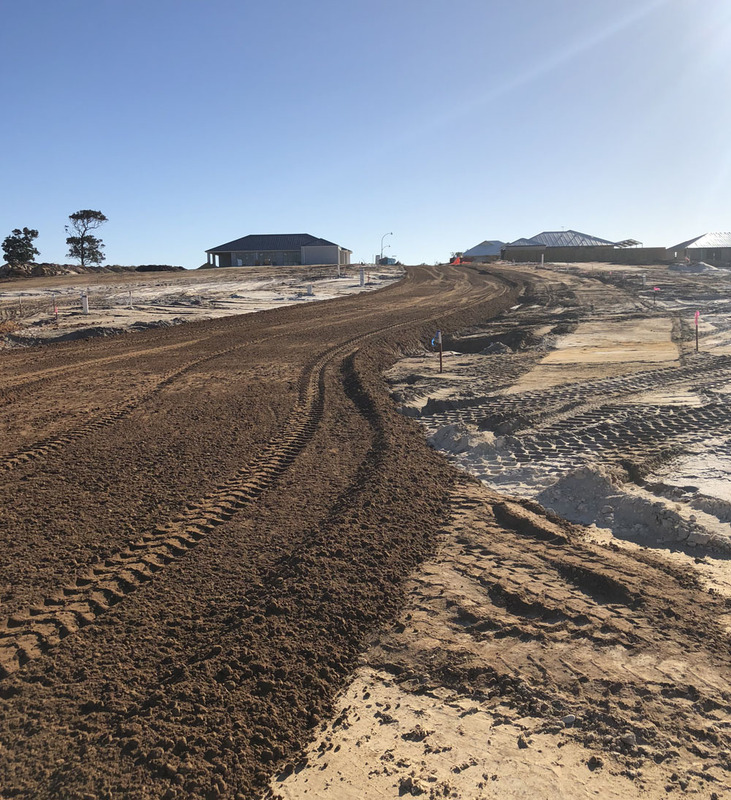 Leeuwin Civil was engaged by developer, Balwyn Pty Ltd, to complete subdivision works for Stage 6B at Rapids Landing. 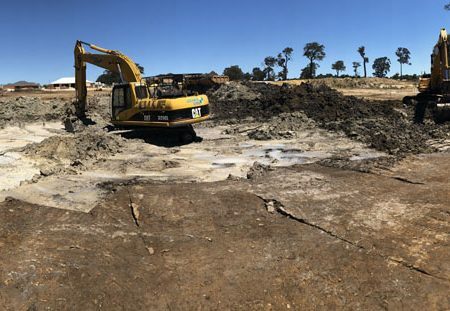 This followed the successful completion of works to the previous stage for the developer in 2017. 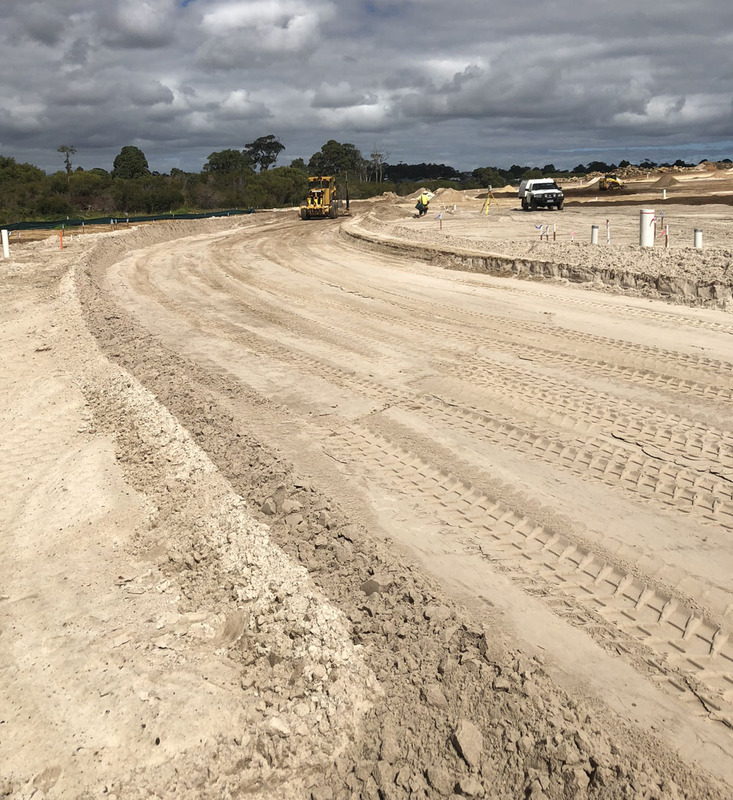 Stage 6B included the subdivision of 35 lots and installation of associated services (water, gas, power, and communications), as well as the construction of a new Main Roads WA-rated intersection at Bussell Highway and Tonkin Boulevard – the estate’s entrance road from the highway. 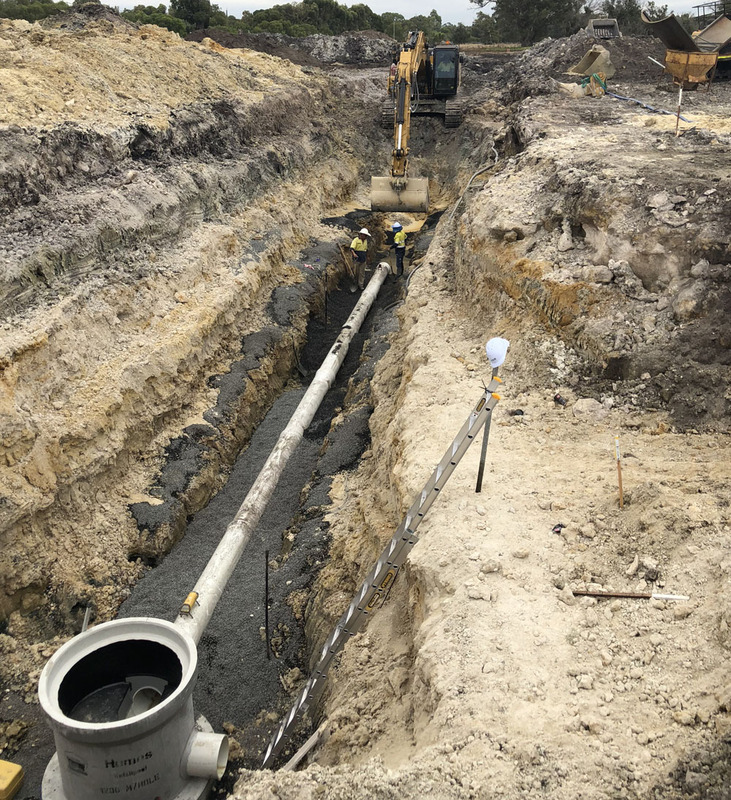 Service assets included installation of a 4m-deep, 225mm sewer main, and reticulation for the 35-lot subdivision. 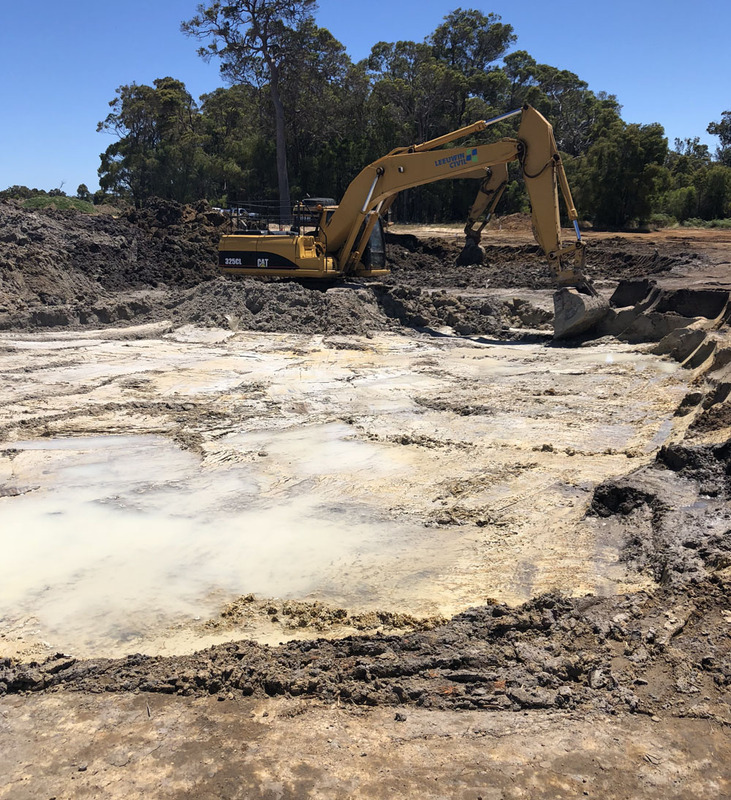 This involved careful dewatering management due to the adjacent creek and the presence of acid sulphate soil in the excavated material. The subdivision’s stormwater infrastructure was also quite complex. 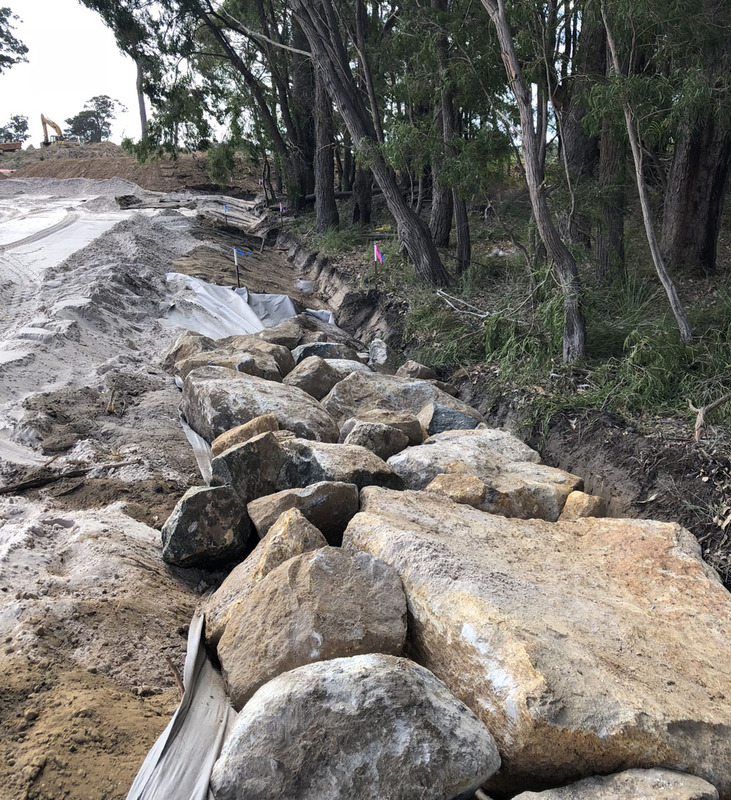 Silt basins were constructed of earth and rock swales to allow subdivision run-off to be contained, where the silt could settle before clean water flowed back into the creek. 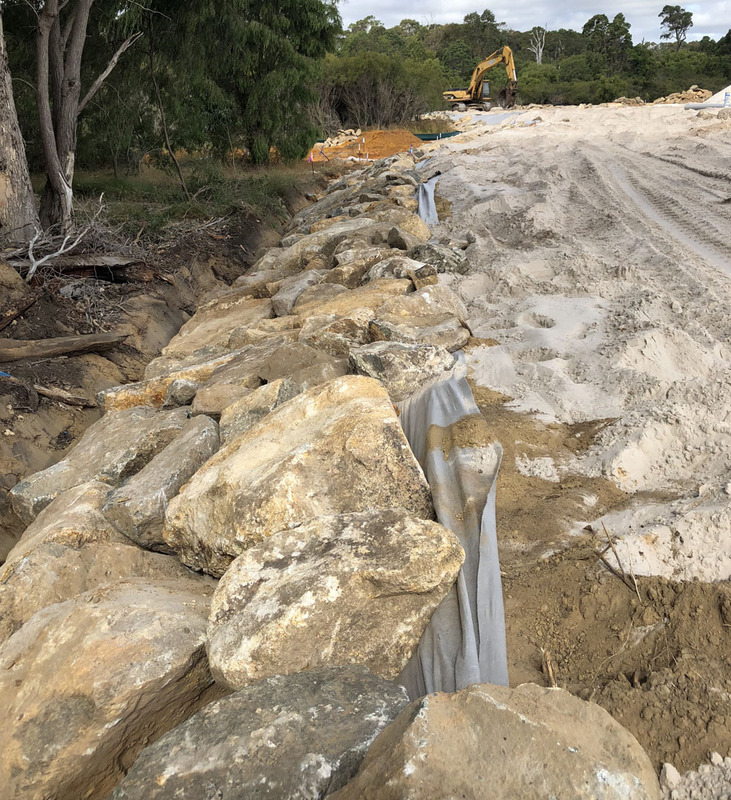 These silt basins also remained for the longer-term to assist with future subdivision stages. 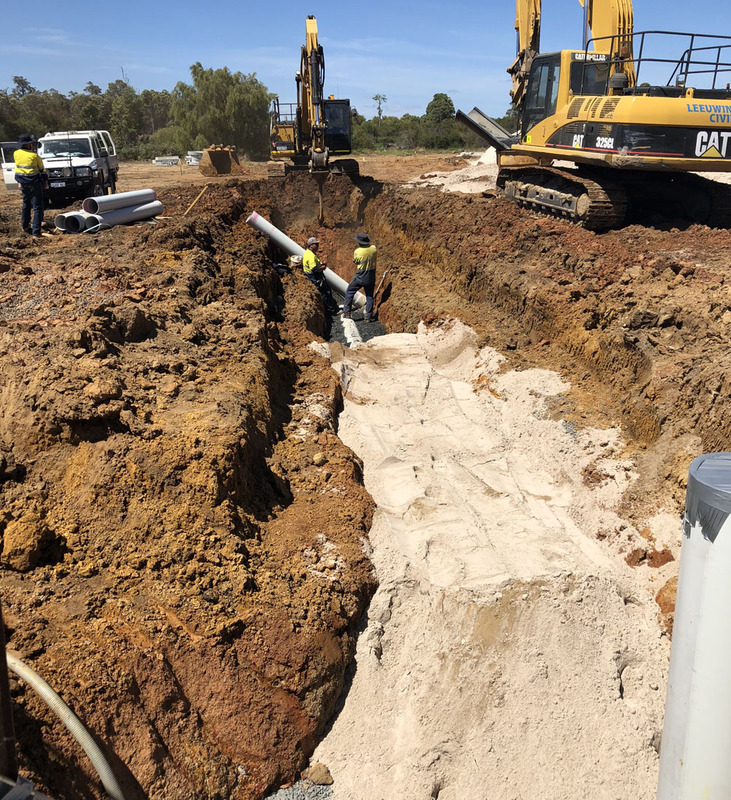 General underground infrastructure installations constructed by Leeuwin Civil consisted of stormwater drainage, water mains, gas, power and communications. Road works included kerbed and asphalted roads. 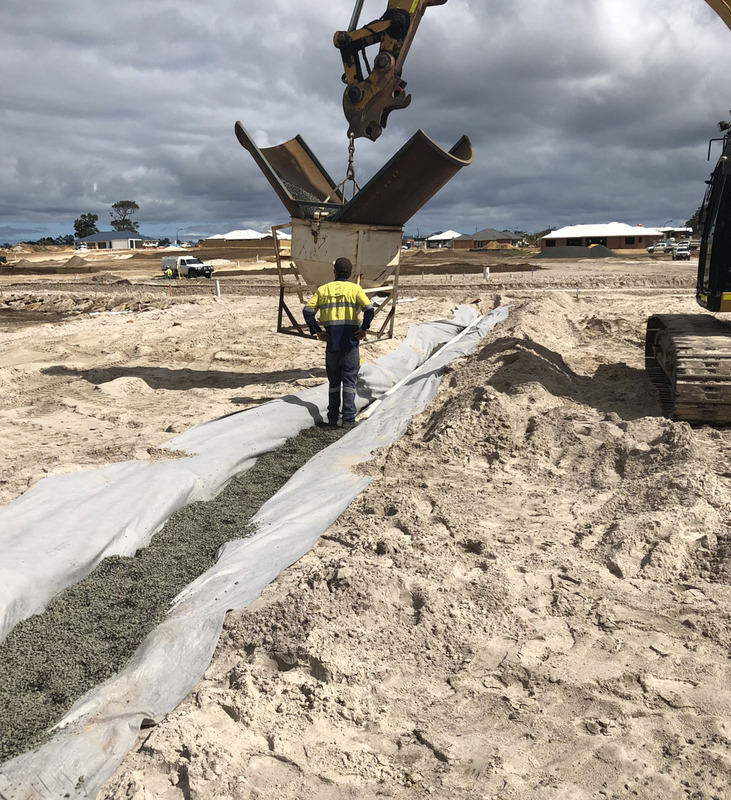 All tie-ins to existing assets were also carried out by Leeuwin Civil. asphalting and road construction / kerbing.